Financial leverage is a business term that is used to describe the debt or borrowing of funds that are then used to purchase a company’s assets. As a new business owner, you may be tempted to take on large amounts of debt in order to maintain costly assets. However, this is not always the right decision. A high financial leverage ratio increases the risk of failure for a business because it is then more difficult to pay back their debt. The more a company borrows, the greater their financial leverage. Although this seems simple, there are several other terms that must be understood in order to fully grasp the concept of financial leverage. To find out more about the complexities behind this financing strategy, see our key definitions below. Operating leverage is used to measure a company’s fixed costs as a percentage of its total costs. This is also known as a breakeven analysis. Unlike financial leverage, operating leverage is more of a comparison. Financial leverage measures debt, while operating leverage compares sales to the cost of production. However, both magnify the change in earnings due to a fixed cost in the company’s structure. Business risk is the probability of loss inherent in an organization. This helps to determine a company’s potential return on equity. Business risk is influenced by numerous factors including sales volume, competition, input costs and the overall economic climate. Business risk is closely related to financial leverage and business credit ratings alike. Business risk when combined with financial risk, the use of debt, equates to the total corporate risk. Financial leverage and business risk both play a part in determining the probability for success in an organization overall. The debt-equity ratio is a form of ratio analysis that focuses specifically on measuring a company’s financial leverage. It is calculated by dividing a company’s total liability by its stockholder’s equity. 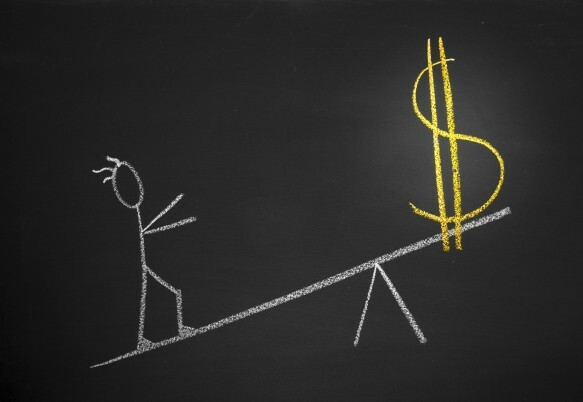 A high debt-equity ratio often indicates a high amount of risks for a business. However, considerations must be made to acknowledge the acceptable level of risk within certain industries. Enhanced earnings is one of the primary advantages of utilizing financial leverage. Because they can take on large amounts of debt, company’s can earn a disproportionate amount on their assets. This allows company’s to make more than they would normally. As long as they can continue to pay off of their debts, businesses can profit immensely without sending money from their personal accounts to the bill collectors. Another key benefit to financial leverage is favorable tax treatment. For some tax jurisdictions, interest expenses are tax deductible which can reduce the net cost for the borrower. Many businesses can find ways to benefit from reduced taxes when taking on debt. If you are considering leveraging for business funding, you should not only understand the key terms of the concept, but also, more importantly, the risks of financial leverage when cash flow management best practices are not used. Of course, you could lose property or other assets from leveraging. However, if you are prepared you can avoid this. Make sure to conduct a careful analysis of any and all options you are considering. This way, you can make an informed decisions, which is always the best business decision. Do your due diligence when considering the types of financial leverage you may want to take advantage of to secure business capital. It is important for new business owners to understand the complexities of financial leverage. A delicate balance is required to maintain an acceptable risk when it comes to this economic option. Now that you understand the key definitions involved in financial leverage, you can take better care of your company’s funds.